Mark on cigar cutter - Austrian? I was wondering if this mark was familiar to anyone. I found an item that's almost identical to this one, and the seller said its Austrian but the mark is different. Re: Mark on cigar cutter - Austrian? I got this image from your tinypic link where it says Grab Your Code and IMG Code for Forums & Message Boards. Just copy and paste your IMG Code for Forums & Message Boards. I see you got to the bottom of this situation while I was writing this reply. Good job. there is only one mark to be seen and it`s not consistent with any Austrian silver mark. Is it silver at all ? The maker "wb" is there but super small. I found this one online and its nearly identical. 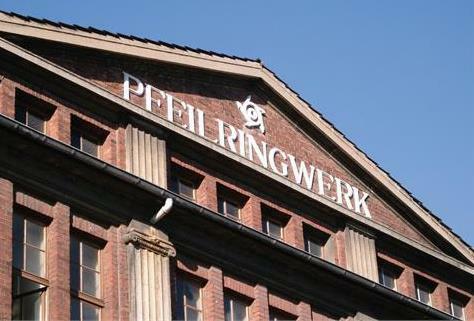 the steel part of the cutter show the maufacturer mark of the German firm "Pfeilring" (arrowring), existing since 1886 - known for their excellent quality. Could be Hungary too. Except if you see the characters next to the dog head. Or if you recognized an austrian maker's mark. You are absolutely correct, it could also be Hungary. Hopefully Patagere can confirm whether there is a town letter and if so, what it is,which will also be a step in the right direction in possibly identifying the maker. I was focusing on the wrong mark - was trying to identify the mark on steel part, so thank you for the reference for that. Regarding the other marks, they are soooo small and my loupe is just not strong enough. But it does look like the dog, and the maker's initials WB. This has been very helpful, thank you all.